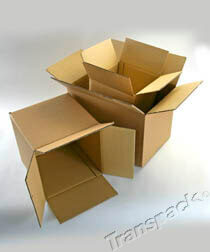 Our range of cardboard boxes are made from sturdy 125gsm board. 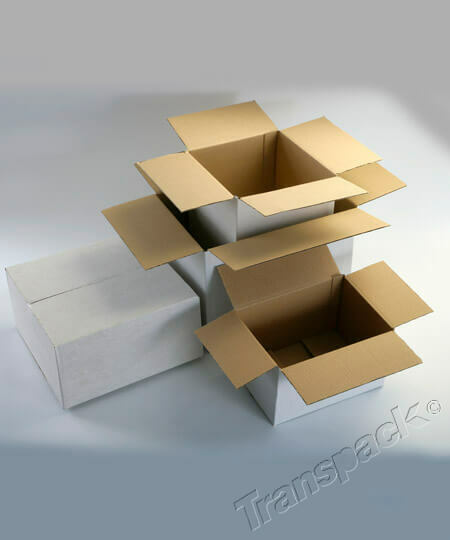 Single and Double wall cartons available, and white or brown - choose double wall for shipping products and moving home, and single wall for lighter applications and storage. If we don't stock the size you need - we can still help, call or email for a quotation, or read about custom made boxes here. To protect your items in transit or storage, make sure you pack the boxes well so the contents can't move around too much. The heavier the load, the sturdier the box will need to be. For loads over 5kg, a double wall box is recommended.